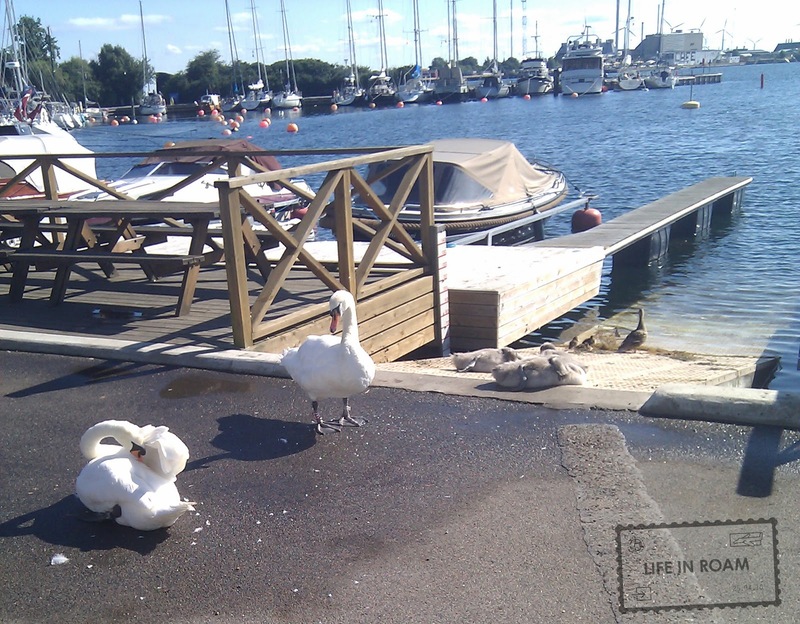 After spending a week in Norway, and a tournament in Sweden, we went to Copenhagen. Jeff flew out right away, but I had a whole day to explore the city before I headed out to Dublin to volunteer for WJUC. I didn’t have my camera with me unfortunately, so I used my phone to take photos. 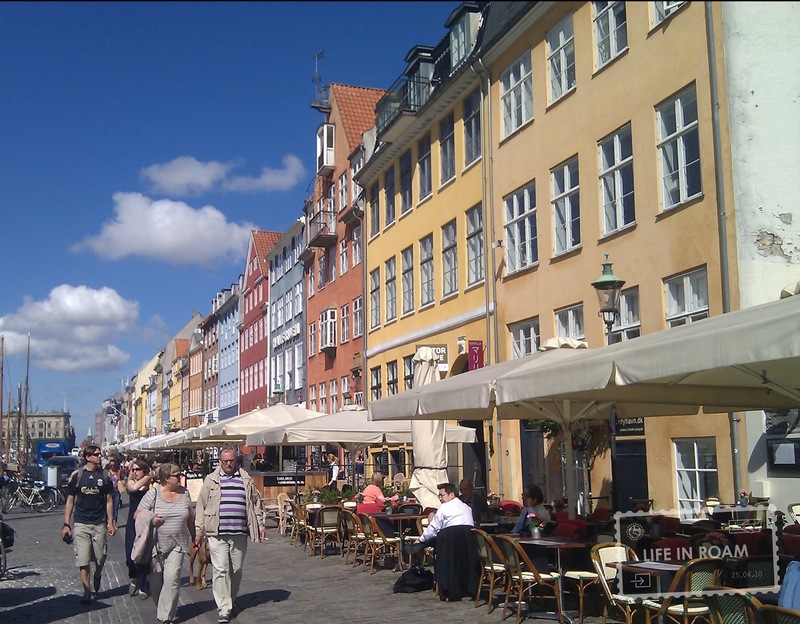 Copenhagen is one of the more important cities of Europe, but receives not nearly as much attention as the others. It has been documented as the capital of Denmark since the 11th century, but became a “significant region center” in the 17th century. 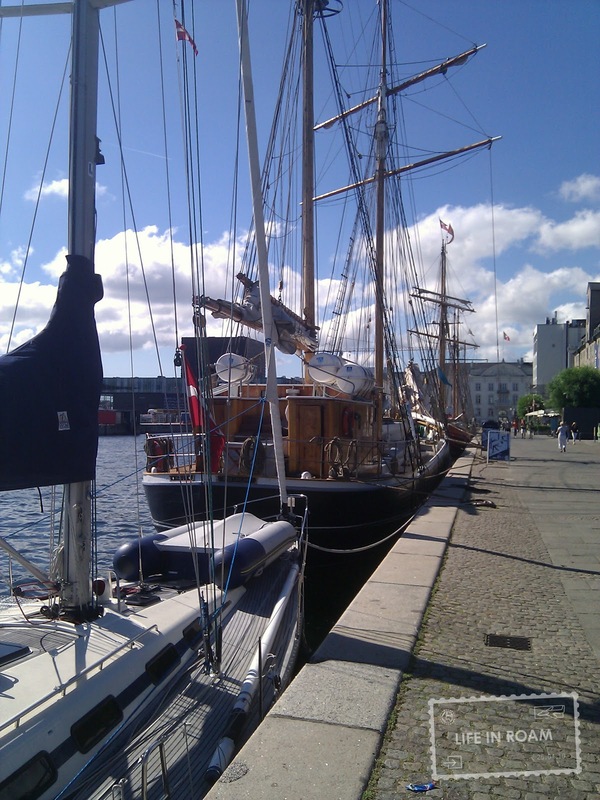 Many times, from several sources, Copenhagen has been named one of the best cities to live in. It is extremely environmentally friendly, with cycling being an easy and favored mode of transportation with 38% of the population commuting by bike. The city is much like Venice and has a lot of canals and waterways, these are safe to swim in which must be a feat for a metropolis area. 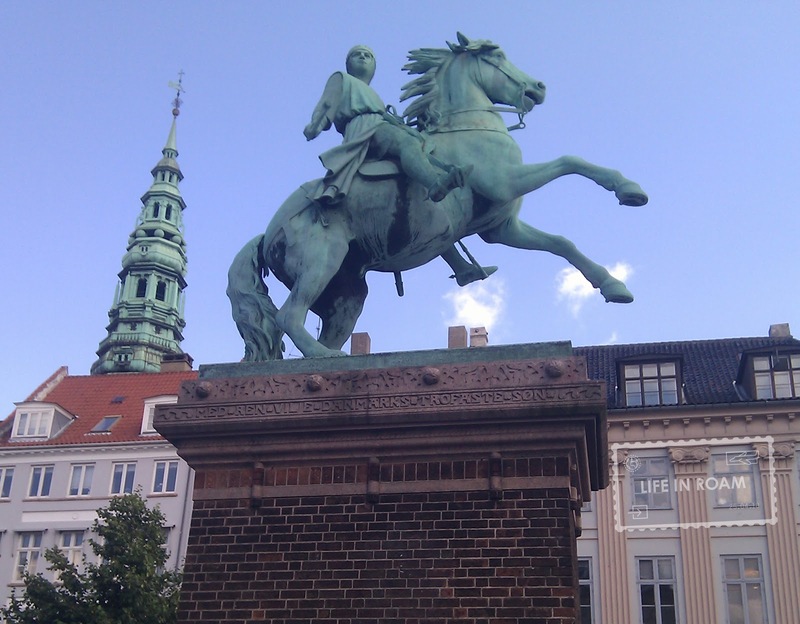 The name Copenhagen, is a derivation from the cities original name which translates to Merchants Harbor. The city has played an important role in many other countries history, being the site for battles versus Britain, and Norway, and having been occupied by Germany for 5 years during World War II. In opposition to the German presence there, a plan was hatched to bomb a building that was being headquartered by the Gestapo. Political prisoners were being held in the attic to prevent such attacks, so planes flew bombs aimed at the bottom of the building. The plan was going well until one of the planes crash landed near a girl’s school, which succeeding planes mistook for the target. The bombs that hit the girls school killed 123 civilians, 87 of which were young girls. Of the original building, the Gestapo archives were completely destroyed, and 18 of the 26 political prisoners escaped. Denmark also has a very strong design scene. I didn’t explore it too much because I wanted to see the city more than a museum, and also because I knew there was a chance that my class would be doing a study trip there. The Danish style of design is a derivative of the Bauhaus movement and focuses on functionality and simplicity. This makes it appear very similar to Swiss design which has similar ideals. We stayed in a hostel called Danhostel, that had a nice bar/hangout space downstairs. I don’t think I had seen this before, but in our room the shower (we didn’t stay in a dorm style room, we had our own space) was a spout on the ceiling of the bathroom. To give you a visual picture, imagine a small one person shower, but with a toilet and sink inside. It was actually a interesting use of limited space. The hostel provided me with a map of the city, and on the map was a suggested walking tour. Which sounded pleasantly simple in my post tournament sleepy tiredness. It led me from the main part of downtown out toward an old renaissance citadel called Kastellet, which is structured in the shape of a star. Beyond Kastellet is a harbor that contains some interesting statues, but really lacks the traditional Scandinavian feel of the city back towards downtown. 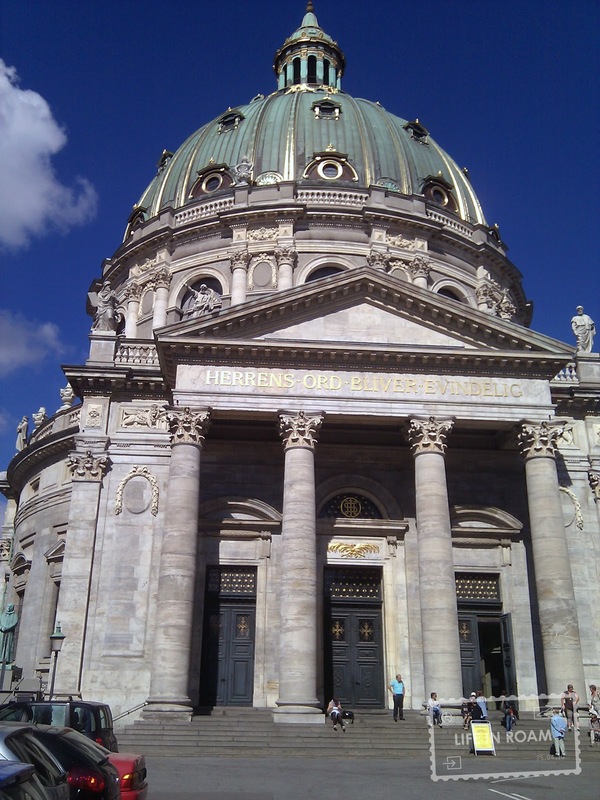 On my return towards the city, I passed a very large church, a palace, and what I am sure are very interesting parts of Copenhagen’s history. 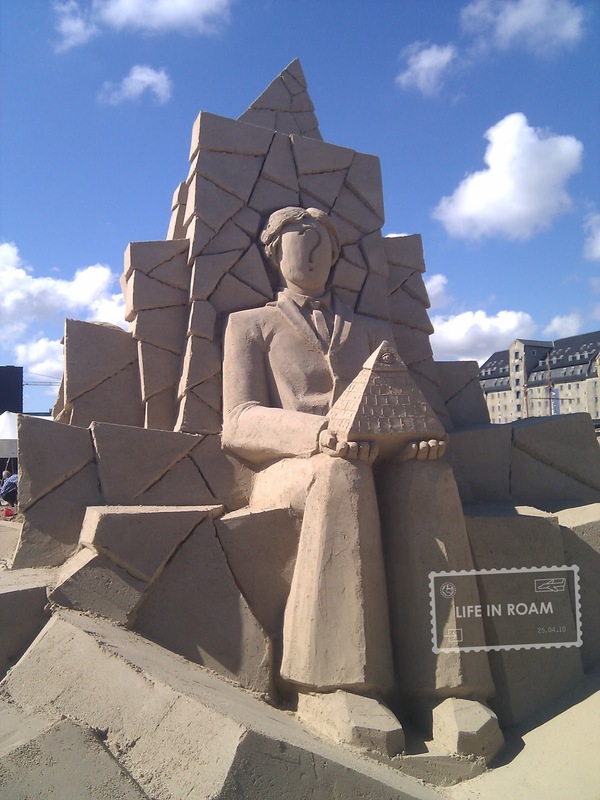 What I found that interested me a lot more though was a sand castle competition! For only 5 Krone, I was able to look at all the sandcastles I wanted. On the way back to the hostel, I stopped by an ice cream shop in Nyhavn, which is a waterfront harbor preserved from the 17th century with colorful buildings. I went back to the hostel to have lunch and write postcards while I waited for it to be time to go to the airport. While I was sitting there, one of the people I met at the tournament stopped by and we got to chatting. He convinced me that the time it would take to get to the airport was going to be about three times longer than I had thought, so I grabbed my bags and left in a hurry. Turns out I was right, and had now an hour to kill at the airport before my flight to Dublin for World Junior Ultimate Championships.